My dad is in Clarendon Memorial Hospital in Manning, SC. He will be 90 in January. About four days ago he had a bad case of diverticulitis and was admitted through the ER at the hospital. He had emergency surgery to correct the problem. I finally got to see him yesterday after a lot of travel obstacles reported previously here. He looks as though he has been in a fist fight but by all reports from doctors and nurses he is doing remarkably well. Yesterday he had a steady stream of visitors by friends and family and is now talking and entertaining the nurses in the ICU. Luckily at this time he is the only patient in the ICU and the nurses are wonderful. He has all of the ICU staff focused on him and they are providing excellent care. The surgeon visited last night and said he was going to try to get him on his feet today and thinks he will be taking a few steps on his on. He told me that dad is doing remarkably well for someone his age. They are amazed at his rate of recovery. The surgery went well in Tampa too. Barbara is there caring for Kim. We are thankful we are able to be retired and can divide our forces to cover all the bases. This has been a logistical challenge for us and we still face some travel. 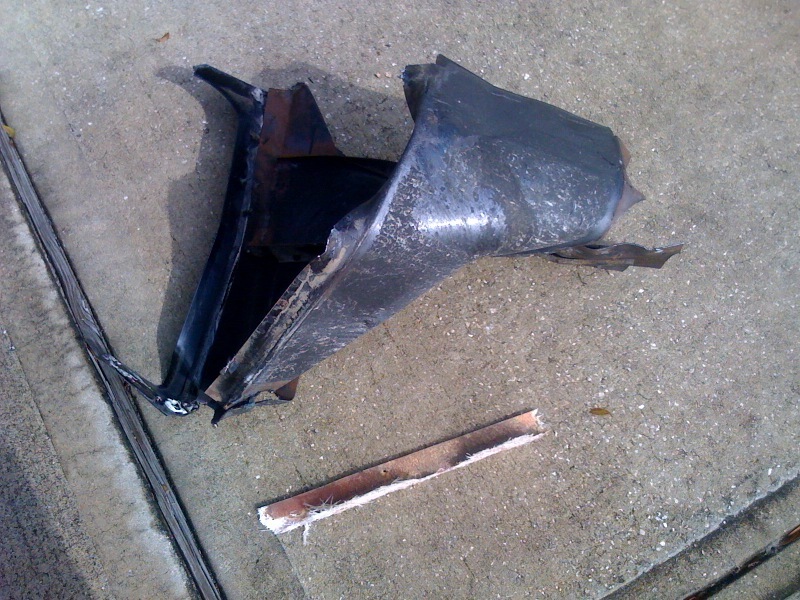 The Mothership was left behind in Tarpon Springs, Florida for repairs of the damage done by the tire blow out. So, at some point I will travel back to Tampa to retrieve Barbara and the RV. Perhaps we will then come back to SC depending on how well dad does and the situation with mom and dad. They are likely to need us for a while even after that. We shall see what we shall see. Yesterday, Tuesday, we awoke at 5am. My stepdaughter was having surgery at Morton Plant Hospital in Clearwater, Florida. Our plan was for Barbara to go with her daughter and her daughter's husband to the hospital with Kim. I packed to travel to South Carolina to see my dad who had surgery two days before. All went smoothly and I left Palm Harbor, Florida near Tampa for the trip to SC. 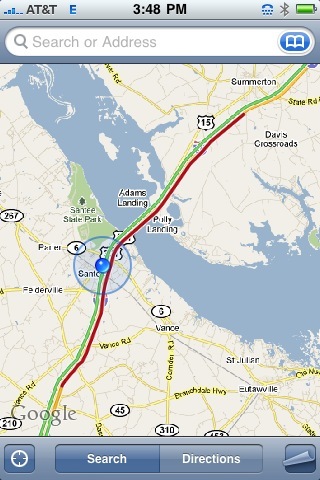 It is about an 8 or 9 hour trip depending on the traffic. The route chosen by my GPS seemed a good one as all of the roads were good and traffic at that time of the day was steady but not bad. All went well until I was 20 I26. I thought that perhaps it was a bad accident but almost two hours later when I reached the bridge the problem was a crack or hole in one lane of the bridge. They had reduced the two lanes down to one to repair it and that was the reason for the grid lock. On Sunday we heard that my dad was going in for emergency surgery. We had already planned to go to Tampa because another family member was also scheduled for surgery. We had originally planned to drive just the car thinking it would be a simple trip to Tampa, stay to help out, and then return home. But, the call about my dad required a change of plans. I decided to take the Mothership, our RV, and tow the car. I would drop Barbara off to stay in Tampa and then I would drive the RV on to South Carolina where my dad was having surgery. That way, if we had to stay longer in SC I would be able to take the car back to Tampa, pick Barbara up, and then return to SC where we would have the RV to live for as long as we could stay. So off we went. At about Mile Marker 134 on the Turnpike we heard a loud bang. Imagine what it must have been like flying a WWII bomber to be hit by Flak, the anti aircraft artillery used by the Germans against allied aircraft. It sounded as if we had been hit by Flak. 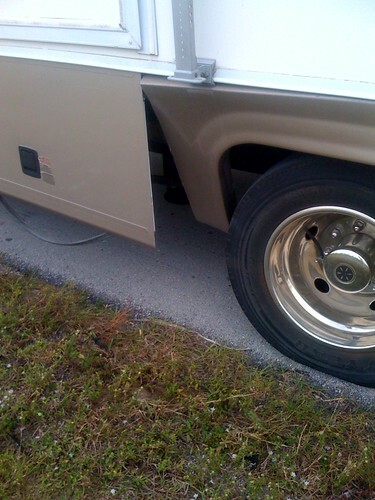 It also sounded like something was thrashing loudley as if part of the RV was coming apart. We had blown an inside rear tire. The remenants of the tire were thrashing around and around as it came apart. I wrestled the big beast to a safe landiing on the side of the road and we called AAA. 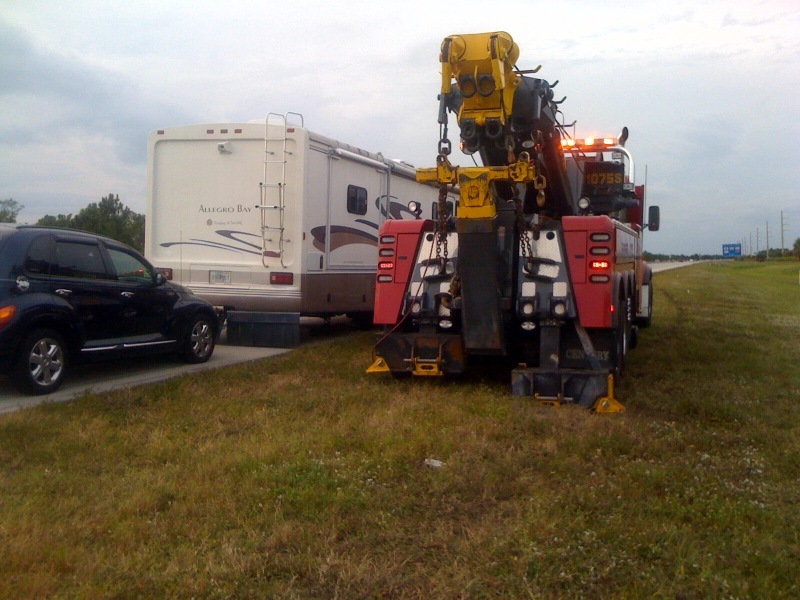 We have the AAA Plus road coverage so that the RV would be part of the service. Barbara also heard a hissing sound which I quickly traced to our propane tank. The line leading to the rest of the coach from the tank had been severed. I turned off the main valve leading from the tank to the rest of the coach. They dispatched a truck at about 2:30 as soon as we called after rolling to a stop. First a small repair truck arrived but that one did not have the equipment to do the job so they dispatched what is known as a "Rotator." It is a gigantic tow and repair truck. The driver told me that the vehicle cost $750,000. I believe it. That thing could lift an 18 wheeler with its crane and I guess they are called upon to do so. intense guy, surveyed the damage. Not only had the propane line been severed but the tire tentacles had thrashed around and grabbed the back of the wheel well pulling it inward toward the tire. That in turn pulled the outside fiberglass wheel well fairing and the wheel well structure inwards towards the wheel. Before the tow guy could change the tire he had to get all of the bent metal and fiberglass clear of the tire. He wrestled and fought with hands, arms feet, and legs until it all came free. It is now in the back of our car. He then proceded to retrieve the spare and change the tire which was another big job but with the right skills and tools he made quick work of it. All of this took about three hours so by now it was 5:30 pm. Damage done included gas line severed, electrical marker light wires severed and possible the electrical line supplying power for lights on our car which we tow. Who knows what else but we at least were underway. We finally arrived in Tampa at 10:00 pm tired and ready for bed. Today we face finding a place to do quick repairs and buying a new spare tire. Meanwhile my dad is doing well in ICU and my cousin who is a doctor called to fill me in on the details of his situation which sounds very good considering his age, 90. I hope my solo leg is more uneventful than the first leg of this trip. Life is an adventure. This is an amazing video application. Pan left and right while flying around Mt. St. Helens.